Only the church and the prince's residence remain today from the original ensemble founded by Petru Rares in 1530. In 1532, the church featured both outside and inside frescoes. In the 19th century, a large part of the mural paintings were replaced. High walls surround Probota with corner towers for defense and a gate tower built in 1550. 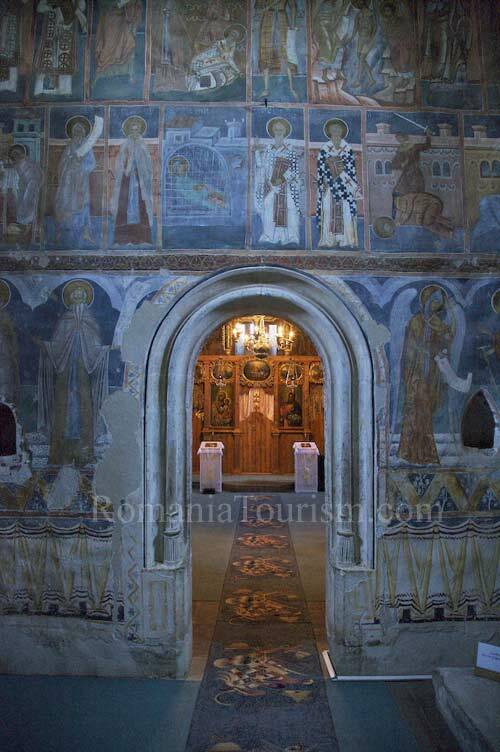 Throughout its history, Probota Monastery has undergone several restorations and conservation campaigns. More interventions were carried out in 1930 to replace some of the gothic tracery and relay the floor. In the steeple above the ruler's residence, a small museum exhibits icons, furniture, old books, coins and several artifacts.